Send Thanks | What Are You Thankful For? 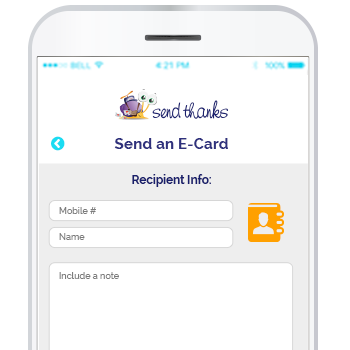 Introducing the new SendThanks app. Share your thoughts of gratitude with the world! Today’s digital world is fast-paced and complex. But by taking a moment to feel gratitude we can focus on the good things in life and start our days with a more positive attitude. You can really make your cards unique. Send a custom thank you to anyone for any reason. Get started right away and brighten someone’s day, touch the lives of others with praise and show appreciation! A thank you can go a long way. Now it’s easier than ever to bring joy to yourself and others in this fun, innovative way. So download the APP and SendThanks today! In today’s society we all tend to move through our hectic days feeling stressed out and tired. As time flies by take a minute to recognize that we would all benefit from a slower pace, a more thoughtful, compassionate demeanor. 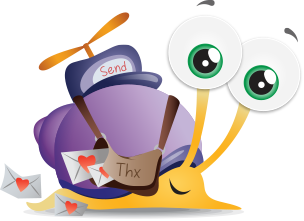 SendThanks.com provides a fun, fast way to send free virtual thank you messages. Awarding us all a chance to illuminate the shadows of another’s heart with public applause and share in moments of admiration. Strive to honor your soul and inspire your spirit by conveying some of the natural gifts that we all possess; kindness, love and friendship. Bring joy to yourself and others by giving the gift of gratitude… Send Thanks! Precious messages lie in the events of everyday life. As we all travel through time and endure the trials and tribulations of our experiences, we share a common bond of humanity. Offering assistance, without expecting anyting in return, can provide great moments of awakening for us all. Those times warrant a special thank you. 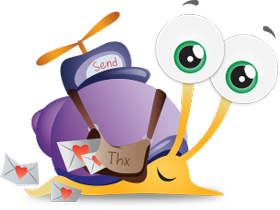 Now there is a fun, easy way to express your gratitude with a few clicks of your mouse on Sendthanks.com. Sendthanks.com is a website dedicated to celebrating our human connection and expressing appreciation for all that we have to be thankful for. It’s a virtual way to send sincere thanks to family, friends and even strangers who extend themselves to others with love and friendship and who choose to respond with wise and compassionate words. Visit Sendthanks.com to make a quick comment on a job well done, to report a genuine act of kindness or to tell a story of triumph over tragedy aided by the strength and support of loved ones. 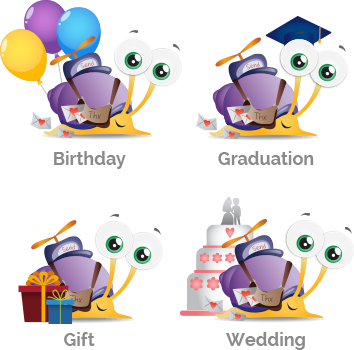 Use personal photos, art work or videos to convey your original message and thanks in this innovative and exciting way. If you wish, register to start an account and begin to explore our social media community by creating a journal of your own. Write entries to keep private, share with other readers or make public, it’s your choice. Sharing your life’s experiences, both good and bad, in this public domain can help others to heal and live their lives with a more open and gracious heart. So be the change you want to see in the world. Unwrap the gift of yourself and give thanks. Log on to Sendthanks.com and recognize those who have helped you with a well deserved standing ovation, the universe will rise to meet you. As I launch my new website Sendthanks.com, I look back on the long, difficult journey that led me down this path and helped me find the value in gratitude. Through much pain and introspection I’ve opened up to the beauty in this world and have come to appreciate the many lessons that my life’s experiences have taught me. Among them I’ve learned that the universe works in mysterious and magical ways to provide us with exactly what we need to learn and grow. I send thanks to the powers that be for helping me find my purpose, which in part is to inspire others to live graciously. And I send thanks to all of my loyal, loving angels, guides and teachers who have always kept a watchful and supportive eye on me long before I knew they were there. 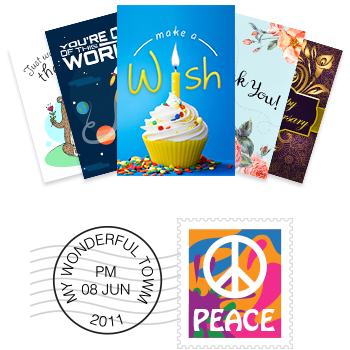 My hope in creating Sendthanks.com is that many more people will send thanks out into our world, spread gratitude and deliver positive messages to others whose lives may need to be touched with praise. I wish you all the best of luck, good health and prosperity in your own pursuit of happiness and I sincerely thank you for sending thanks.